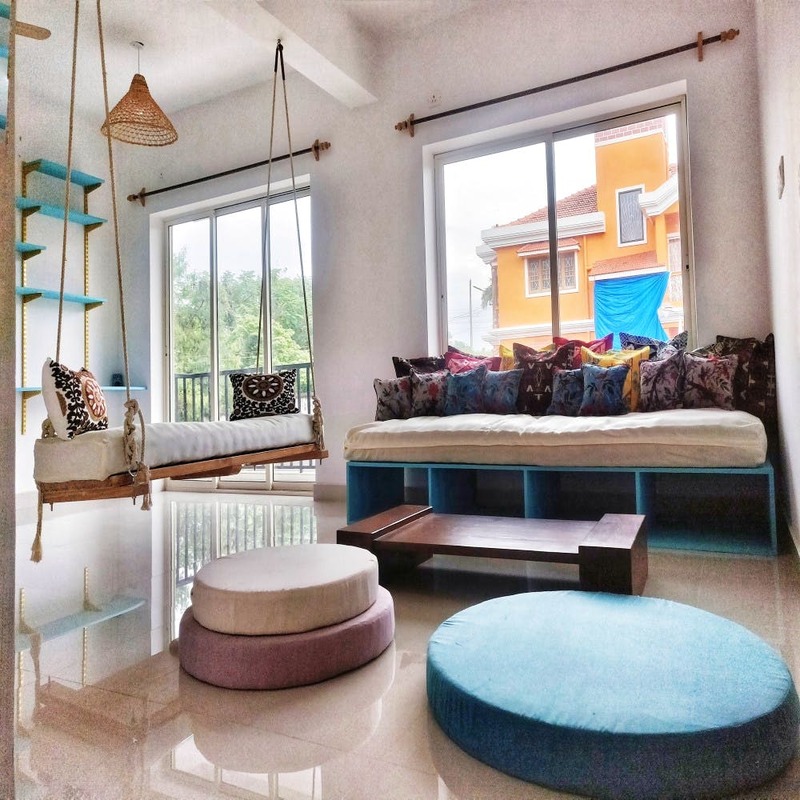 The Route Affair, a new BnB and co-living space that’s offering a cosy home-style stay away from the mad beaches with rooms ideal for tourists who are working out of Goa or are on a long-ish sabbatical. When Richa and her husband moved to Goa as the latter helped 91springboard set up office spaces across the state, they didn’t know there’d be no going back. They’d fallen madly in love (all the sunshine and good vibes do it to you) and decided to find a way to start a new life here. This co-living space then seemed like a good idea. The Route Affair offers a home-like environment but with wifi, breakfast and a caretaker to look after your needs. In short, they’ve got everything you need to get work done from a remote location without getting distracted by all that noise and beer on the beach. There are seven rooms in total and some of them have a gorgeous valley view (three of them priced at INR 1,500 a night and the remaining at INR 3,000). There's a washing machine and a kitchen that's free for guests to use. This tariff is inclusive of breakfast and if you’re tired of eating out and crave a homemade thali, they’ve got one for dinner at INR 250. And of course, if you’re staying for long, the rates come down substantially. They’ve got a garden and the host couple’s doggie, Sushi, sometimes makes a surprise appearance. Now can’t turn down all that puppy love, can you? The homestay hosts can also help with bike rental and walking tours around the area. A little birdie told us there’s something brewing on the herbal bath front where they’ll introduce a unique, outdoor bath concept in a massive kadhai! More on that later! While it’s understandable that it’s not modelled on a poshtel format, we still find the rooms a little too expensive for a long stay traveller. They have a tie-up with Botanique so if you’re after a lovely swim surrounded by forests, as a Route guest, you have access to the pool for INR 100.